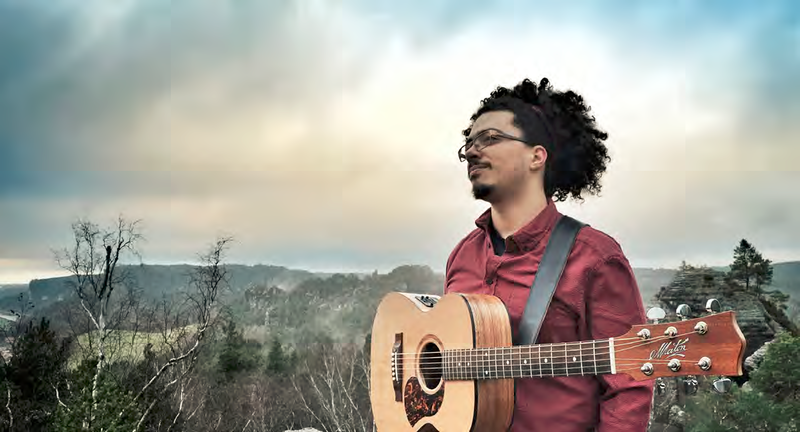 Farid Ben Miles is a folk fingerstyle guitarist crossing the world music borders and using his virtuosity in the service of soulful melodies. With only the use of an acoustic guitar, he is able to take you in his universe and bring you in a “traveling by ear” experience. No wonder why his first CD is titled “Going Overseas”. In a time where ethnicities and cultures mix each other, Farid shares his love for this world with the only universal language on Earth: the Music. His compositions are inspired by a long travel he recently accomplished and he tells his stories with no need of lyrics. He’s been compared to Andy McKee, John Butler and Nick Drake. But his music doesn’t stop at his tremendous guitar techniques. He demonstrates a powerful voice transmitted to his guitar and brings us to a whole new world. Asia, North Africa, Occident are just a part of where you will find yourself dreaming.